We're all affected by a breast cancer diagnosis and each of us can make a difference today! The Think Pink Foundation is very excited to partner with Nutrimetics, Australia's favourite beauty company for a very special pampering experience. Let's take time to appreciate all the special women in our lives - our mothers, daughters, sisters and friends who have helped shape us to be the best version of ourselves - and in turn help all Australian women (and their families) who are affected by breast cancer. Plus all pampered ladies will go into the draw to win the Ultimate Indulgence Pack worth over $300.00 PLUS a magnum bottle of Chandon. Family, friends and fun times! Together let's enable a better journey through breast cancer. 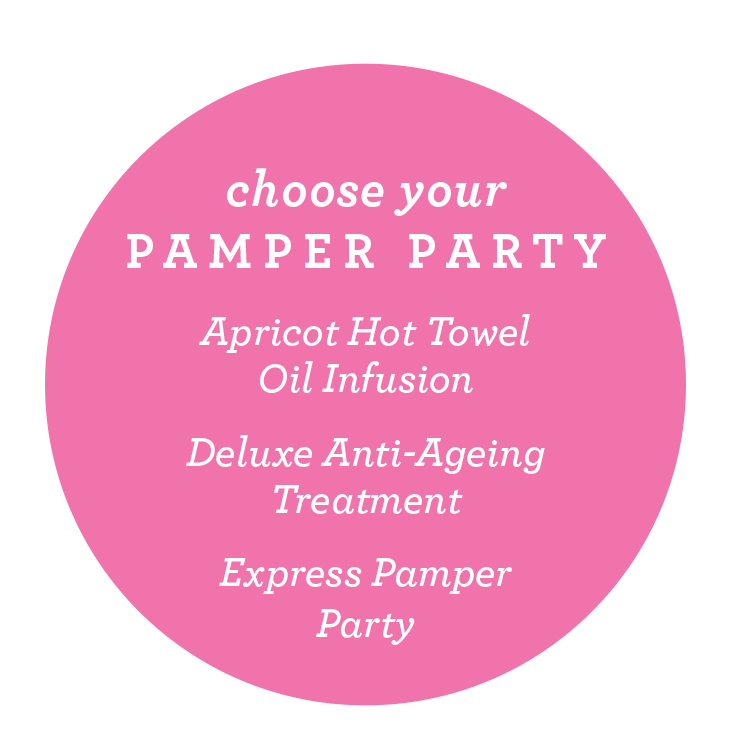 Nutrimetics beauty consultants will come to you to deliver a pamper party experience of your choice. $40.00 donation (fully tax deductible) per guest ticket. Groups of 2 - 12 are recommended. Choose one specialised treatment per group, invite your Mum and our beauty consultants will work around your schedule! As a host, you will also receive a Host Toolkit packed with everything you need. For almost 50 years Nutrimetics has held its reputation as one of Australia’s most iconic, most trusted beauty brands. The company is also a long-term supporter of cancer charities. Family and friends become the most important form of support when faced with breast cancer. By spoiling your mum, your gran or your friends this Mother’s Day and hosting a Nutrimetics Pamper Party - you are helping to raise much-needed funds to help us continue to enable a better journey through breast cancer.